School Principal: Miss Mary Creegan. Rathore is a controlled co-educational school for pupils with severe learning difficulties. The school has a wide age range of pupils from 3-19 years. 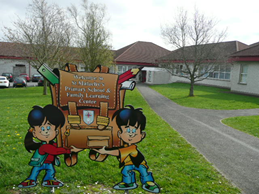 The school is situated on 7 acres in Carnagat overlooking Newry. The school is currently organised in three departments: Early Years and Primary, Secondary and Post-16. There are 15 classes each with a teacher and classroom assistant. Most classes have an additional classroom assistant to support particular educational programmes or pupils. Classes are mixed ability and are normally age banded. 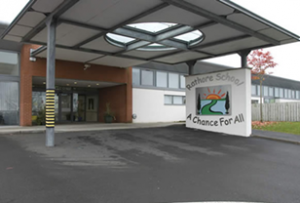 Rathore School has developed a great deal of knowledge and experience over the years to help children and their families to cope with the complexities of special education. We provide advice based on experience, ongoing development and training and liaison with various professional bodies to deliver the best educational package for our pupils. All members of staff have a responsibility for acting as a positive role model for pupils and for taking every opportunity to promote the pupils’ self-esteem and confidence. They also have a responsibility for the promotion of positive behaviour throughout the school.